MTSU Shows October 18th and 19th at midnight! 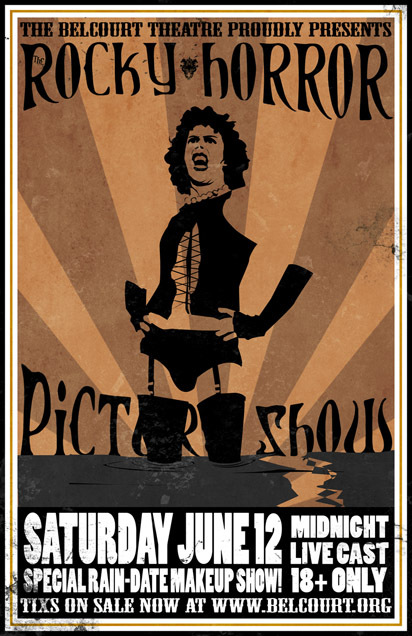 Little Morals is proud to bring Rocky Horror back to MTSU’s KUC Theater this year! Both shows will be held at midnight on October 18th and 19th with a full shadowcast. Tickets are available through this link. Get them while you can! NEW! 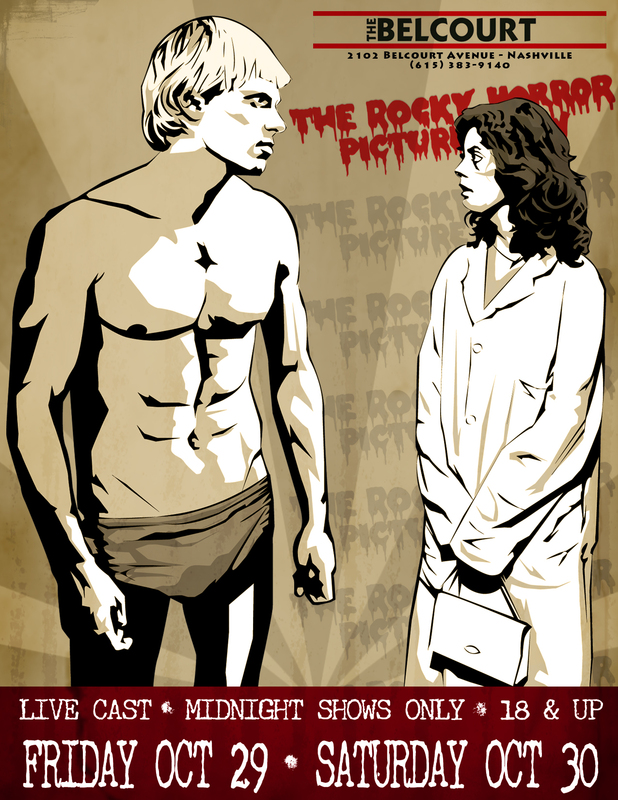 2013 Nashville Rocky Horror posters! Like what you see? Posters will be available for purchase at all three Belcourt shows! Thanks to Ryan Williams for designing this awesome poster for the 2013 season! Remember to buy your tickets now at belcourt.org before they sell out! 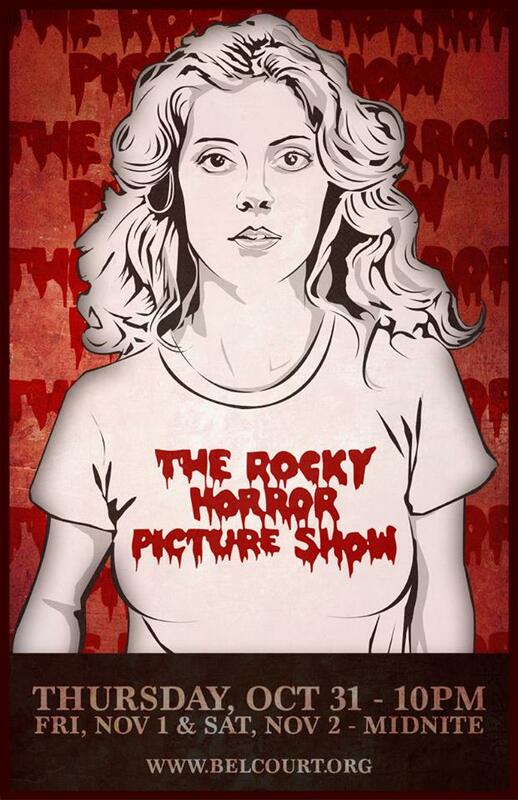 RHPS @ Belcourt on 10/31/13, 11/01/13 and 11/02/13! The season is finally upon us! We will have THREE shows at Belcourt this year to accommodate all of Nashville’s Frankie fans. Thursday, October 31st at 10:00pm. Friday, November 1st at 11:59pm and Saturday, November 2nd at 11:59pm. You can purchase tickets now at the Belcourt Theatre website. Tickets will sell out, especially for the weekend shows, so don’t miss out! Our May 1st show went on despite the closure of interstates and flooding. Over 200 people purchased tickets to that show, but only 100 or so were able to make it. Belcourt kindly scheduled a make-up show for June 12th! If you purchased a ticket to the May 1st show and did not use it, gather your confirmation/unused ticket and bring them with you for entry. If you didn’t have a ticket- you’re welcome to purchase one at The Belcourt Theatre website. We want to make sure we do our part to support our great city. The poster you see below will be on sale for five dollars (cash only) and all profit received will be donated to Nashville Flood Relief. Buy yourself something fantastic & help your neighbor at the same time! We will have prop bags on sale, as well as toilet paper and your standard Rocky accessories. Please leave the rice and hot dogs at home. 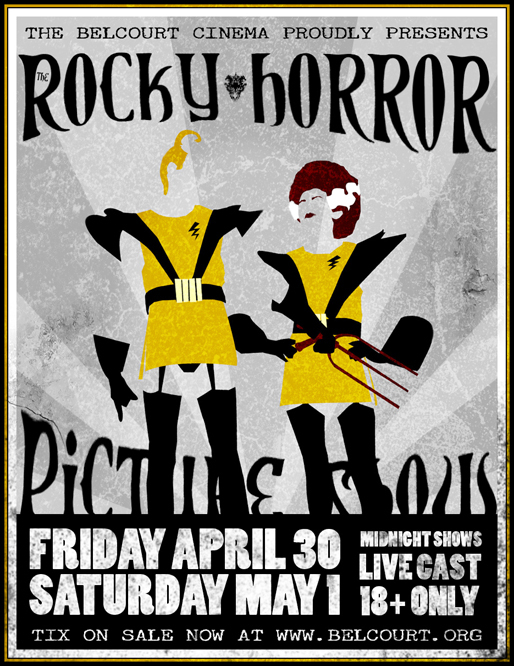 Nashville Rocky Horror @ Belcourt Theatre on 04/30/2010 & 05/01/2010! Both Shows At Midnight. That’s right! We’re back again. Both shows will begin at midnight. Tickets are on sale NOW at The Belcourt’s Website. Tickets always sell out to both shows, so please be advised & get them as soon as possible. We’re about to put a little spring in your fishnets!